Before becoming a writer, Victoria attended school in Atlanta, Ga., attending C W Hill Elementary School, David T Howard High School, & Morris Brown College. While studying at Brown, she joined the Peace Movement to fight for civil rights, marching with Martin L. King, Jr., Stokely Carmichael, and hundreds of students down Atlanta’s Hunter Street, where she happily caught glimpses of her siblings in the dense crowd. Marching, participating in sit-ins, working on voter registration drives, she was an enthusiastic participant with schoolmates, family and friends… A mission that young people took seriously with a strong sense of commitment and devotion. She left school at Brown in her junior year to join the Peace Corps in Brazil’s Espirito Santa and Rio de Janeiro. Her favorite city in Brazil is Salvador du Bahia because it typified for her the rich history, culture, and traditions of Africa. As a Peace Corps Volunteer, she worked in the School-to-School Program, The Food for Peace Program, Family Planning, and the Community Development Program. She also worked with local orphanages, planning and developing programs, teaching hygiene, and conducting fundraising campaign for the residents’ programs throughout the year. Following her service in the Peace Corps, she moved, married then began work with dependent-neglected children and Catholic Social Service Group Home System. Retiring early from Catholic Social Services, she started her own home-based Travel Agency, specializing in groups and created “Book Clubs at Sea,” to organize and network with other self-published authors to help get the word out about their writings and to give them international exposure because of the difficulties she experienced in getting published through the traditional methods. This year, Victoria is starting her own publishing house called 4th Ward Publications. Another passion of Victoria’s is to seek ways to support and speak with incarcerated youth about their innate abilities to succeed and grow from where they are to a place of success and leadership. Victoria created a Facebook page entitled, “The Elders Speak!” in order to connect with youth who are locked away from their families, friends, communities and need to have a positive voice in their ear, telling them that they are great and will achieve greatness because they came from greatness. Victoria continues to live in Philadelphia with her family where she enjoys quilting, baking, fishing, knitting and many other crafts. 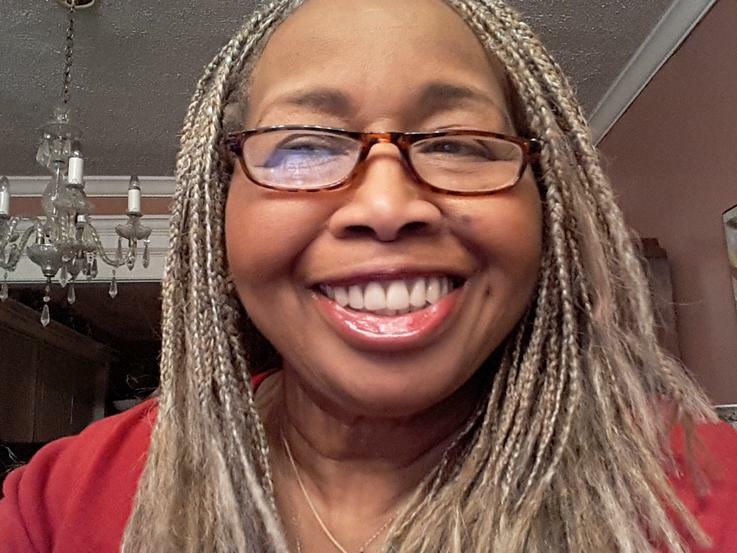 She is an active member of Oak Lane Presbyterian Church where she serves as an elder. At the local library, she teaches writing to adults and children. As she travels, selling her historically base romantic novels, she speaks with groups of aspiring writers, encouraging them to enjoy the process, the discipline, and the commitment to writing. Being passionate about African American History, she teaches it in her community and speaks to groups as a motivational speaker while stressing the need to share our heritage to our young people. During Black History month, she drums home the message and the challenge that we should teach that African American History every day, year round. She believes that in teaching our children our rich history, our diverse culture and our traditions that it anchors them for the journey they must take to be great leaders in the world. She believes that owning that history builds self-esteem, a strong value system, and positive leadership skills. Her active participation in civic and political organizations allows her to support positive life experiences for people of color. During her quiet time, Victoria enjoys being at the shore, relaxing, creating, and writing some of her most colorful stories.